For some of the aspirational middle class, quenching one’s thirst must be done in style. Only villagers still draw water out of earthenware pots, they think. That means waste. And in urban areas where solid waste management is unreliable, that means pollution. 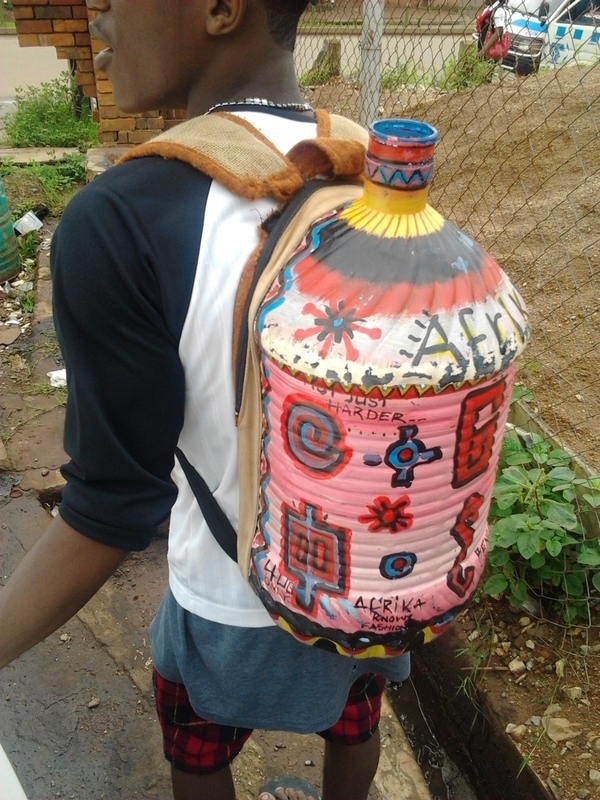 Mr Austine Manzi, however, makes back packs out of upcycled water bottles. 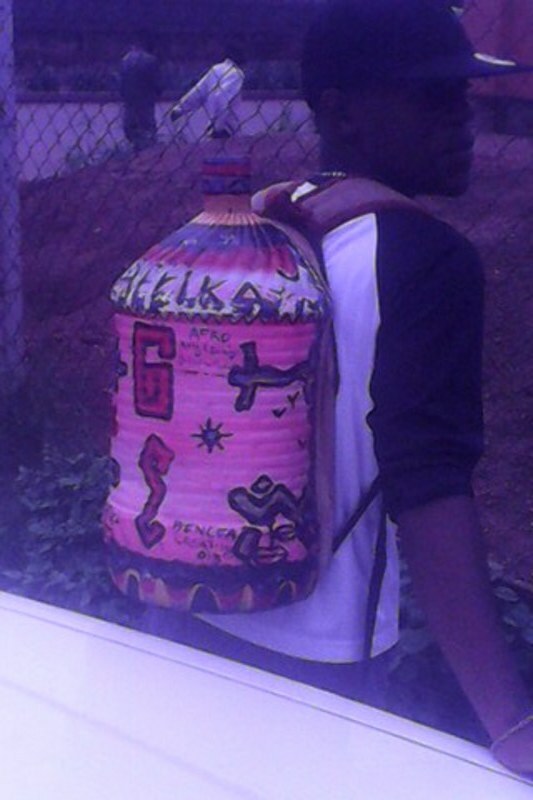 It is fairly simple to make a bottle bag. Straps are cut out, padded and stitched by machine. It is then trimmed with hessian or bark cloth. 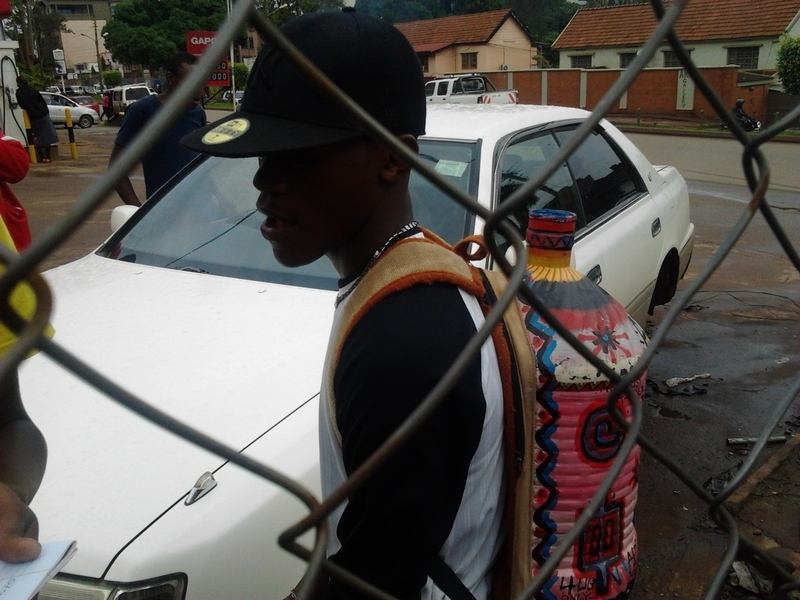 A bottle with a capapcity of between 18 to 20 lires is then cut and attached to the chest piece by hand. Personalisation of each plain bag involves a burst of creativity and acrylic paint. The illustrations on the bottles portray daily life and the quest for a better life. On the right side of the bag is an aeroplane in a sunny sky flying over a bright orb, abstract geometric shapes and birds. Right now, it is the rainy season in Uganda. And plastic being waterproof means there are no worries about personal possessions being dried by the side of a sigiri, or on a wash line. Functional fashion is a way to retire empty plastic bottles that would otherwise be an eyesore. 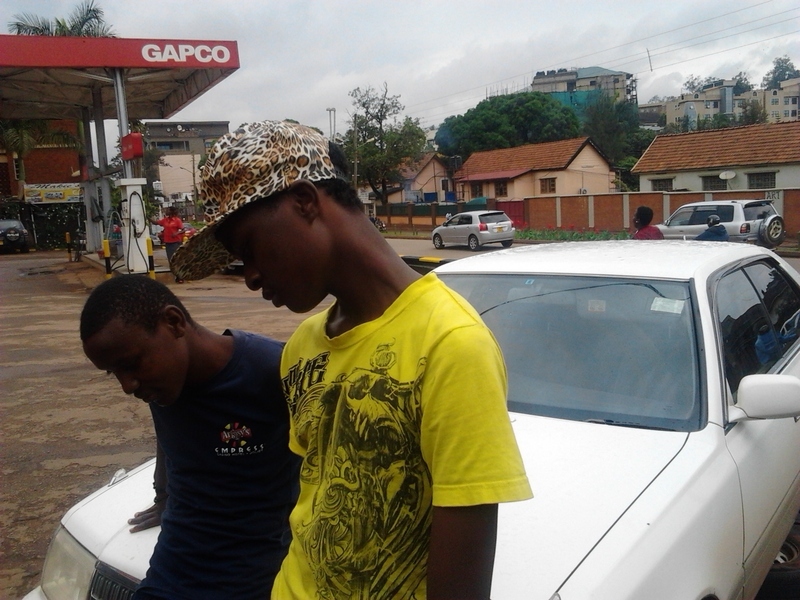 Mr. Austine Manzi, who is a model, has a head for this. “I started making them two years back,” he says. Austine Manzi works with Crane Crestal Model Agence.